Having to carry keys around can be a hassle. There is always the possibility that you can be locked out if you’ve lost or misplaced your keys, not to mention the fear that your keys can be copied and used to access confidential data or precious items. 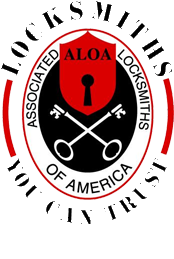 For complete peace of mind and convenience Reasonable Locksmithing recommends implementing a keyless entry system. Our keyless entry systems can be used for any business, home, school, or military complex. Our keyless entry systems can be PIN/password protected or can be activated using fingerprints that have been programmed into the systems memory. One of our most popular keyless entry systems does not even require batteries or an external power supply. In fact, it runs solely on manual power. That is, it generates power every time someone turns its lever. As a result, you do not have to worry about high maintenance costs or expensive battery packs to keep it running. It is also the most reliable keyless entry system on the Cortlandt Manor LOCKS & LOCKSMITHS market because it will never fail on you, not to mention that it the most environmentally friendly keyless entry system on the market. Another popular keyless entry system that Reasonable Locksmithing provides requires a remote access password or pin number to open doors, storage rooms, and the like. Moreover, the proprietary transmitter pad will stay affixed to a desired spot in your complex that only you and/or a few trusted colleagues will know about. For instance, we can install this stealthy keyless entry system underneath your desk or behind a piece of art. Simply enter the secret password to gain entry to designated rooms. We can program a single password to open a single room, or all of the rooms in your facility. Reasonable Locksmithing can also implement a multi-password system that will open a door depending on the unique password inputted. The choice is yours. Furthermore, all of our keyless entry systems are grade-1 certified, state-of-the art, locking systems that use only the most advanced technology on the Cortlandt Manor LOCKS & LOCKSMITHS market. You will end up saving thousands in the long run by using a keyless entry system for your establishment. In addition, all of our keyless entry systems come with a 3-month warranty and a money back guarantee if you are not satisfied with our Cortlandt Manor LOCKS & LOCKSMITHS services.